I’ve played a lot of RPGs in my time as a gamer, of all varieties, various concepts, lengths and plots, good and bad, deep and shallow. No other franchise has games that I’ve spent as much with as I have with The Elder Scrolls over the years. I dabbled in Morrowind (and, by dabbled, I mean only about 50-60 hours), I completely lost myself in Oblivion three times over. No matter how hard you look, there is not another franchise out there, of any genre, that gives you such a life-like, vibrant, unending fantasy world to spend your time in. 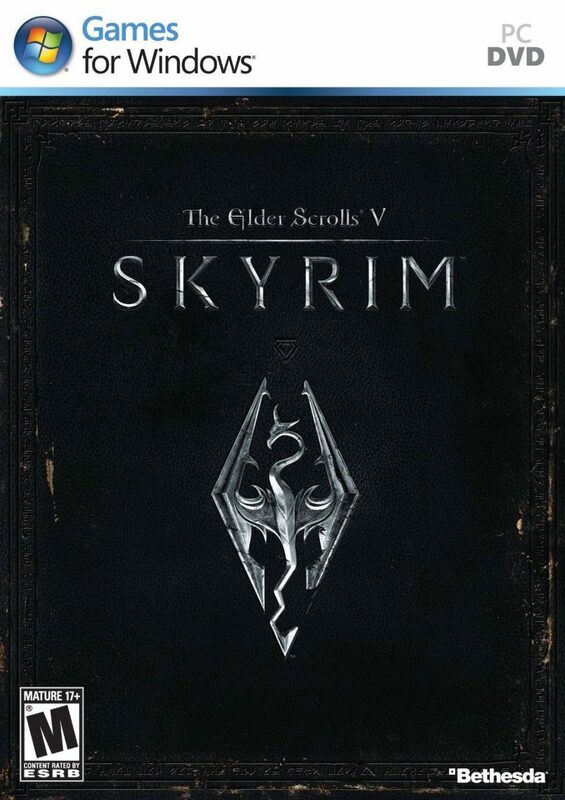 Enter Skyrim, the fifth game in the franchise, and likely the first one that most modern gamers will be overexposed to. The hype has been building for the last year, gallivanting to a dramatic climax in the last month or so leading up to release. 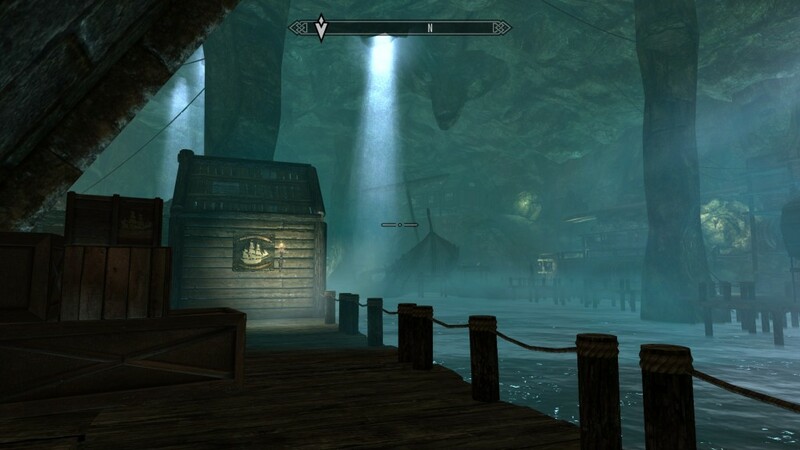 Gamers who have never played or been interested in The Elder Scrolls before are now clamoring to delve into Skyrim. Part of this is, perhaps, because of the success of Bethesda’s last big RPG project, Fallout 3, and Obsidian’s follow-up, Fallout: New Vegas. 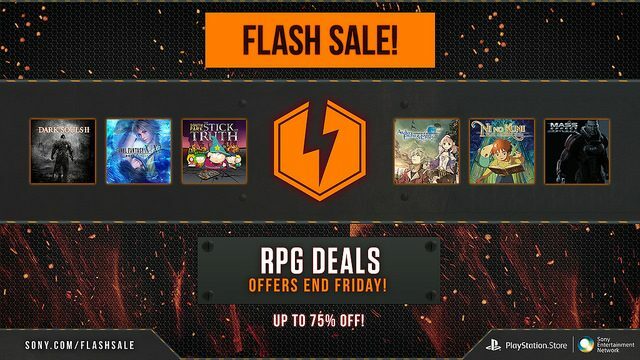 Now gamers the world over are aching to jump head first into this massive fantasy world where you can be and do just about anything your heart desires. It is, really, the epitome of what a game should be and is possibly the best example of such in the entire industry to date. If you know me, you’ll know that story, character development and interaction are three of my biggest concerns in RPGs, and it’s where I get most of my enjoyment in this genre. You know what? Throw all that out the window. 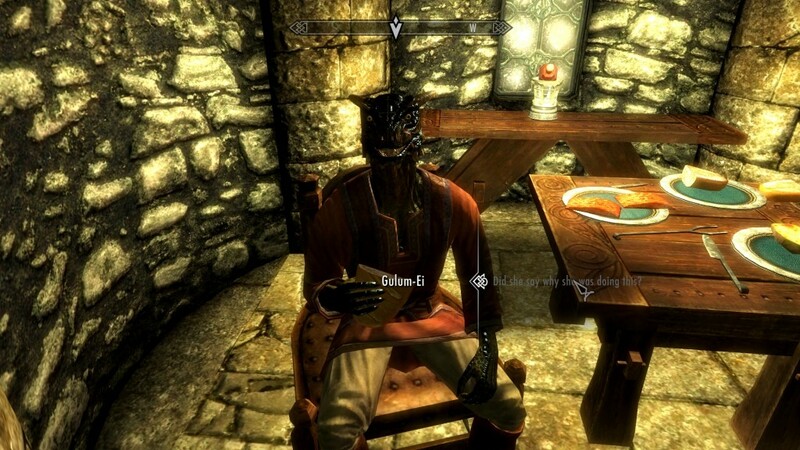 Yes, in Skyrim you create a generic character. Yes, the main story isn’t the only story in the game, nor is it the biggest, most involving narrative in the game. You don’t even have to do it! I’ll be the first to admit that it took me almost 300 hours of playing Oblivion before I finished the main story, and that was only fairly recently for a game that came out in 2006. None of that matters. What matters is that you’re thrust into the world as a blank slate and you have more freedom than ever before to mold your character into what you want to be, creating their life and their story from the ground up. 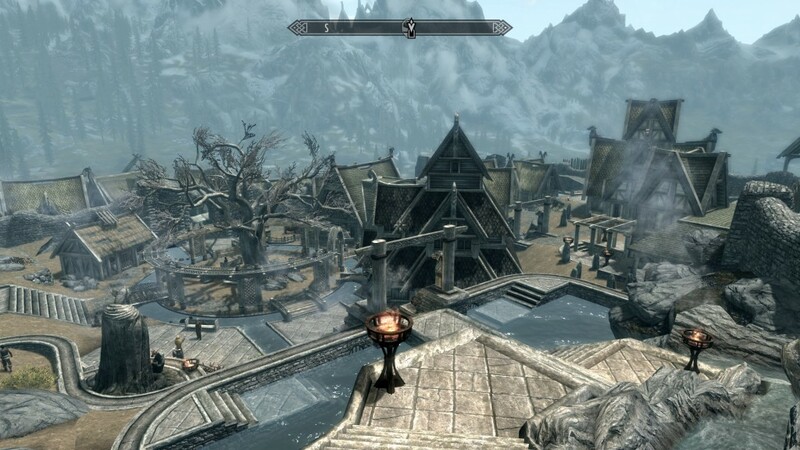 The serene mountain peaks and quiet cities of Skyrim haven’t seen too much in the way of action in the recent past. But now, 200 years after the Oblivion gates were shut for good to the South, the Empire is spreading its wings and encroaching into what was a traditionally Nord area, bringing with it its ideals, customs, people and military presence. This doesn’t sit well with some Nords, and the rebels have formed the Stormcloaks. 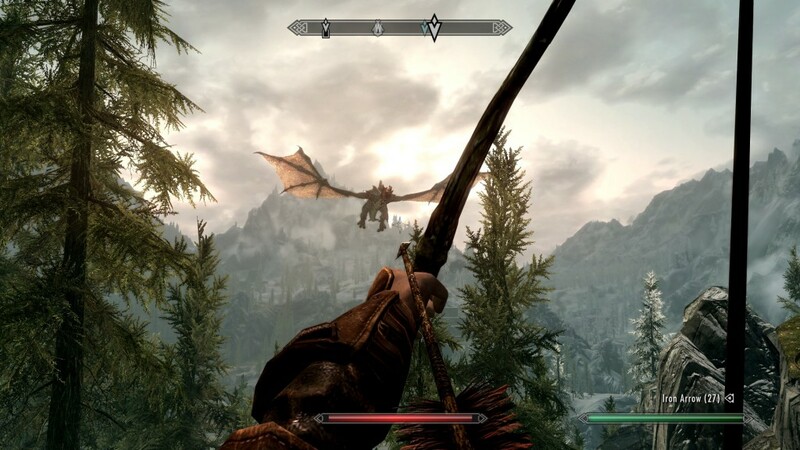 The province of Skyrim is on the brink of a civil war and, what’s more, the ancient dragons are returning for some unknown reason. The stage is set real early in the game for things to get pretty bad in quick measure. At its heart, the main story that has been advertised revolves around your character being Doväkiin, or Dragonborn. You can learn and use the language of the dragons, who have been silent for centuries and are just now coming back to the world of Tamriel. What begins as a slow carriage ride to your death, quickly changes pace so you’re running from a dragon attack and, ultimately, to begin your new life in the province of Skyrim. During the course of the main narrative track, you learn what you are, how to gain and use the “Voice” and what your purpose is as a Dragonborn. The plot is very well-written, twist-filled and well-acted. 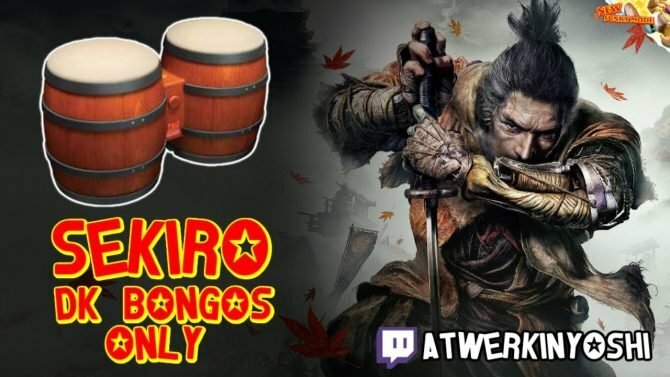 This is also where you get your first taste of fighting and killing a dragon, which has been one of the huge promotions for the game throughout its entire ad campaign. Regardless of your difficulty setting, these battles are a rush, let me tell you. 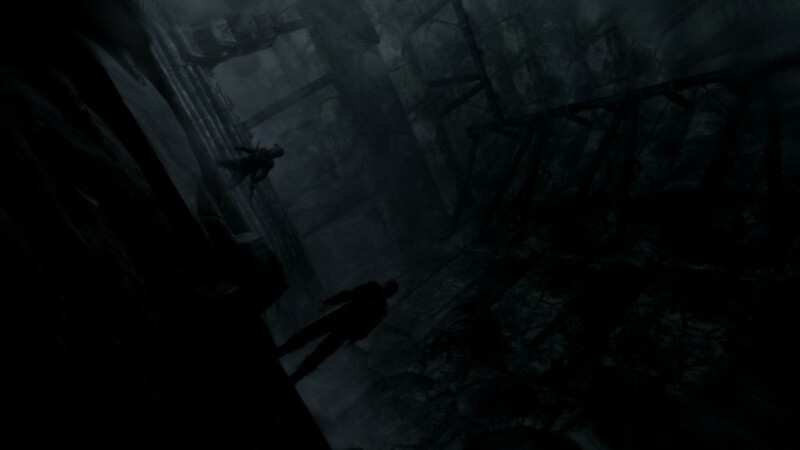 I get more of a rush fighting a dragon in Skyrim than I do escaping a burning building in Uncharted 3 or climbing up a precarious stairway as the ground falls out from under you in Catherine. Possibly because, you know, it’s a freaking dragon. After your first dragon kill, you can learn the “voice” powers, or shouts, which are special abilities that can be upgraded to three different levels. They are focused on helping you become more adept at taking down these powerful foes, however they can be used anywhere and in any situation you want. Some of them are story-related, and you’ll acquire them as you move through the main quest. Some, however, are entirely optional, and you can discover them at the many different dragon shrines scattered around Skyrim. I tend to think of Skyrim – and, really, The Elder Scrolls franchise as a whole – of not necessarily having a “main story”, even though that story is typically the one that is hyped up the most. Like in previous titles, there are also guilds you can join – the Thieves’ Guild, for example. 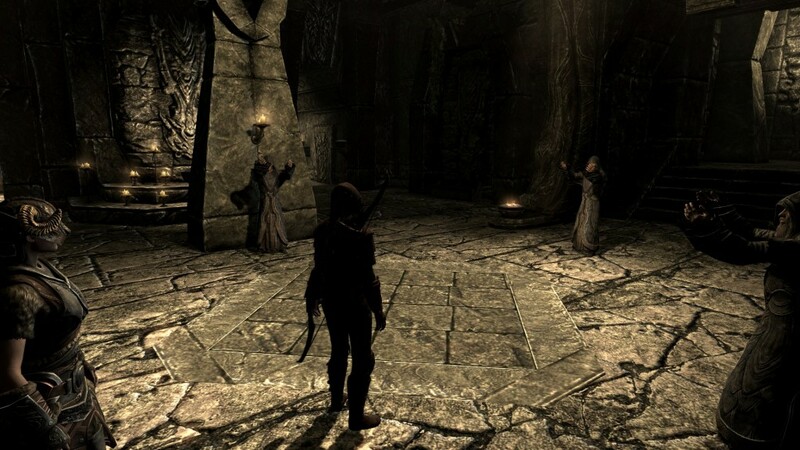 There are also Skyrim’s equivalents of the Mage’s Guild and the Warrior’s Guild. On top of that, you can choose sides in the on-going war in the province – you can either take up the cause of the Imperials or that of the Stormcloaks and plot a strategic victory for the side you chose. All these combine to basically give the game six major stories, all interwoven with the province of Skyrim and the Dragonborn story in general. 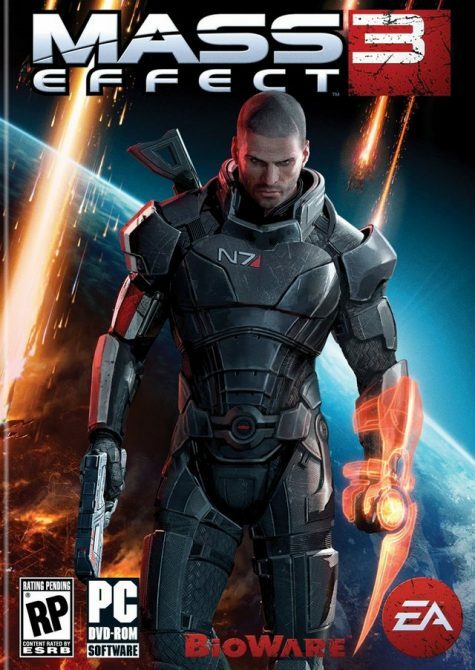 In those narratives, there is probably more gameplay, characters and story than many of this years’ top games combined. And that, my friends, is just scratching the surface. While there is just too much content in those major plot directions alone to go through before I wrote this review, I did make it through the Thieves’ Guild quests, so let’s talk a little about the improvements and variety here. In Oblivion, the Thieves’ Guild was basically just a straight series of quests, each progressively dove farther into the story, and you saw the guild (and yourself, as a member) evolve as you progressed. In Skyrim, while you do have that main story, you also have side jobs you can participate in, and choices to make along the way. 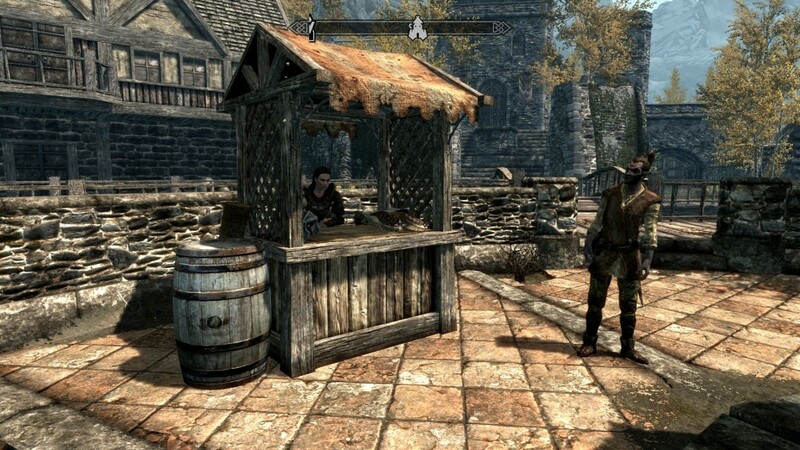 I got in the habit of picking up side jobs from Vex in the Thieves’ Guild headquarters in Riften before I go out to do anything, then just swing by and complete that job before returning, netting some extra cash and brownie points in the process. I also enjoy that now you’re not prevented from killing people during the main Thieves’ Guild story quests, which basically increases the amount of freedom you have in completing the quests. There are some quests related to this guild that task you with purposefully preventing unneeded bloodshed, and you’re made very well aware of those. However, for the most part, you have free reign to complete those quests how you please. Speaking of quests, they are, in essence, the catalyst that makes the world come alive. You can put all the wildlife, NPCs, vendors, weapons and dungeons in the world that you want, but ultimately what makes you feel a part of that world is the quests. Aside from the six main quest lines, there are other large individual quests that you can pick up from just about every NPC you meet. The world also includes procedurally generated quests, meaning that they are randomly generated based on what you do. It is very, very rare to see a similar quest more than once, as they always send you into a different dungeon, have you pitted against different mobs or face a different situation each time. I’m seriously blown away by how real they make the world feel, especially through adapting content to the player. No other game does this. None. Although some have certainly tried. The closest these randomly generated quests come to in recent memory are the ones in Red Dead Redemption, but even those began to feel repetitive very quickly. 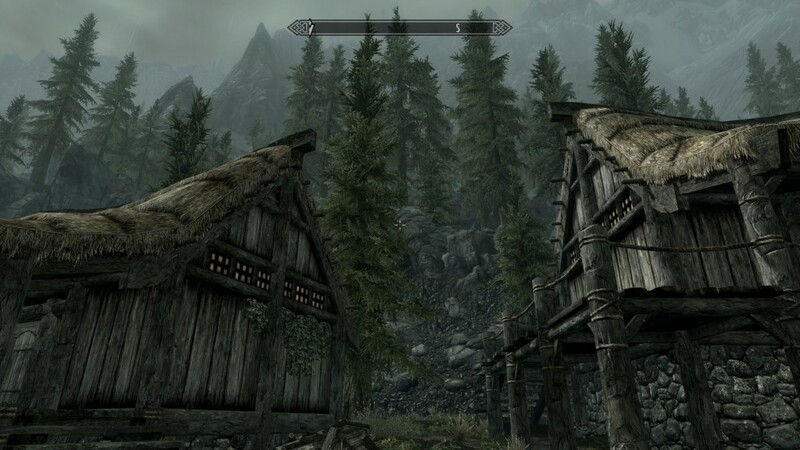 The ones in Skyrim do not, after dozens of hours of play, begin to feel repetitive. You get the sense that you are, in fact, in a living, breathing, ever-changing world that adapts to your character, your decisions and your actions. The variety of quests is astounding, as well, and frankly rivals any MMO on the market, which is generally the genre you think of when you think of this many quests in one game. You have huge, sweeping narratives; small, personal stories; quick quests that you can do as you’re passing through; crafting-related quests which end in you receiving some pretty sweet gear; quests where you meet and tangle with Daedric princes and quests where you save people, towns, farms and creatures. There is honestly something for everyone here, regardless of what kind of gamer you are. Content of this sort, combined together with many other things to do in the game, is what drives the fact that Skyrim simply does not end. Ever. The world is ongoing, changing, ever evolving around your character and the actions you take. 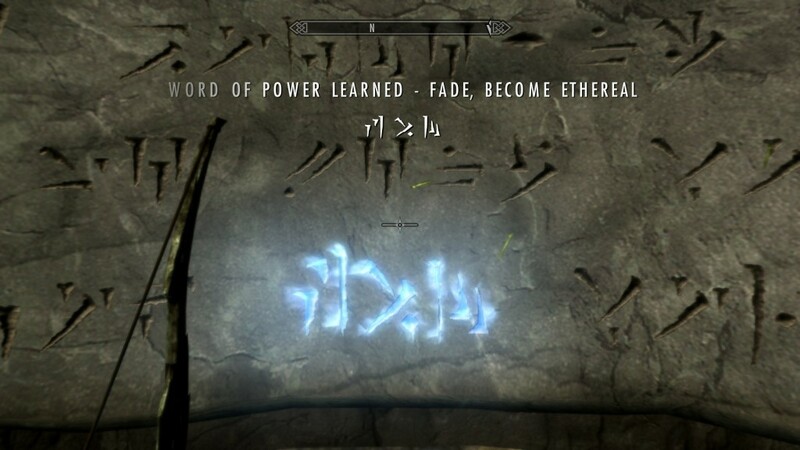 There is never an “end”, but only a steady progression through your character’s life in Skyrim. The main story itself is just one small, almost insignificant, part of the greater whole. That is one of the things that makes this game so special. Aside from the quests, the world itself is absolutely, unequivocally astounding. 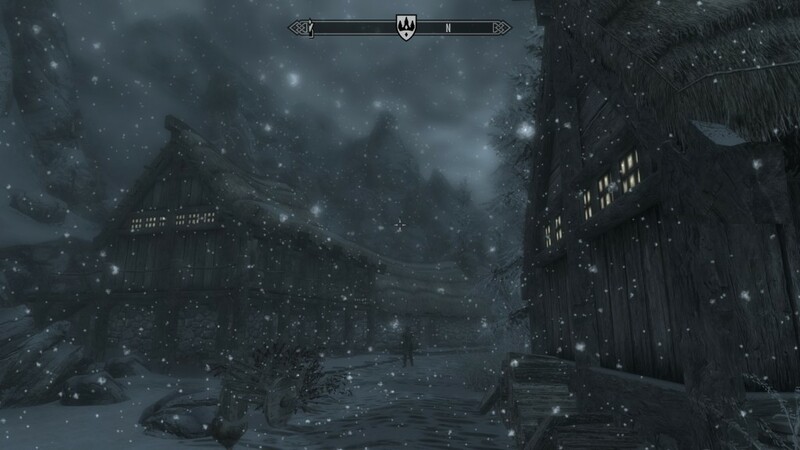 When you think of Skyrim and what you’ve heard about it, you think about lots of snow. This was one of my concerns going in – was it just going to be cold, snowy tundra throughout the entire game? I should have known better. There are sunlit forests, shimmering costal ports, open plains, mountain rivers, awe-inspiring peaks, massive underground caverns, creepy swamps, pristine lakes and the list goes on and on. Every inch of this lush, gorgeous, fun world is brimming with life, from the bunnies hopping along the path in front of you, to the wolves howling in the distance. As I wandered into this one rocky plain for the first time, I noticed a series of majestic, clear streams flowing down out of the mountains. Down below was a crabber’s shack, and a gentleman who had spent his entire life fishing and crabbing in these waters. Looking a bit farther in the distance, a giant with his mammoths were wandering slowly to an unknown purpose. Not only is there life all around, but also death. Odd undead creatures roam the craggy hillsides above a tomb, a pack of wolves descends hungrily on a mountain goat and dragons swoop down from the skies, burning villages and killing citizens with every single blazing breath. There is enough to explore to last you practically an entire lifetime; I don’t know how these developers produced this much content in just the world itself. 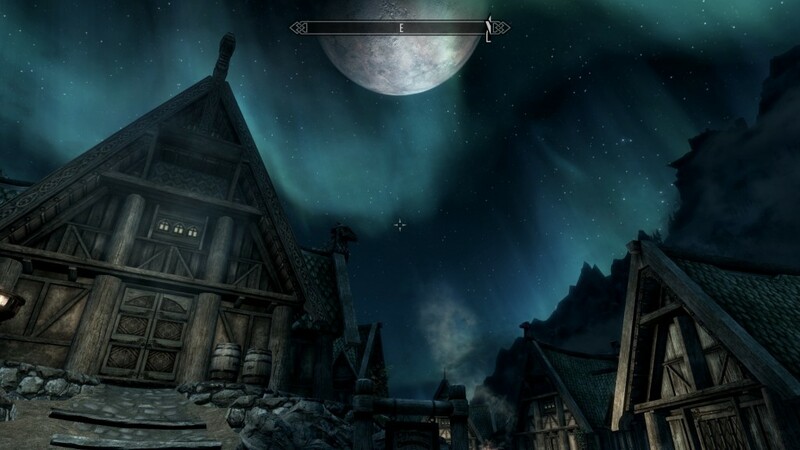 It astounds and amazes me, and regardless of where I’m going or what I’m doing I’m constantly in awe of anything and everything that is around me in the province of Skyrim. From huge, sweeping landscapes down the tiniest detail, things are practically picture perfect. As one example of this detail, when you get in any body of water – whether it’s a lake or river – you’ll feel the current pull your character downstream. If it’s a fast-moving mountain river, you’ll be tugged along fairly stiffly. If you’re in a serene forest lake, you’ll be guided along gently in the direction of the current at that particular location. Butterflies and fireflies are also something I’m infinitely fixated on. The idea is that they’re available for alchemic reasons, as their wings and bodies are used in various concoctions. However, just the fact that they are there and that they are interactive and the world is teaming with them is a feat in and of itself. What other game do you play that lets you interact with every butterfly and firefly on the map? None, that’s what. Not only do people in the game react to your character in specific ways, depending on your race and actions, but creatures do, as well. Hiking up a rather lofty mountain, I came across a mountain troll. He was pretty hefty looking, so I prepared for a fight. But, as soon as I got one step too close, he took off running, leaving his recently killed dinner out on the snowy rocks. A bit later he was back, eyeing me from a rocky precipice above, but when I fired an arrow at him, he was gone just as quickly. The rest of the trek to the peak I always felt like I had two eyes boring into the back of my skull. It’s little things like that that push this game from being a great title to one that is absolutely amazing. So, I’ve gone on and on about how amazing the world is, filled with quests, points of interests and things to do, see and interact with. Now let’s bring things back down to your individual character. Right from the beginning, of course, you get to go through your standard character customization. You have nearly as many choices here as you do throughout the rest of the game, designing your character in the way you want. Some vast improvements have been made on this front, and it’s fairly easy to make an attractive character this time around (unlike vanilla Oblivion). The most notable improvements, I think, is with the more fantastical races – the Khajiit, Orcs and Argonians. Their more animalistic features really shine in the character designer, no matter what you do to them. I was also rather pleased that making yourself a more common-looking character, such as an Imperial or Nord, was improved, as well, and I can actually make an attractive looking adventurer. The one thing here, though, that is noticeably lacking – a class choice. Instead of having you choose your class, you’re basically given the freedom to mold your character based on your play style, much like the world itself conforms to your actions and decisions. Experience, of course, is waived in favor of skills progressing as they’re used, which creates a great basis for your character evolving how you see fit and how you use your character instead of on a pre-determined course. The more you use your bow, the higher your archery skill is. But, if you’re a heavy warrior, naturally your heavy armor and weaponry skills would increase. 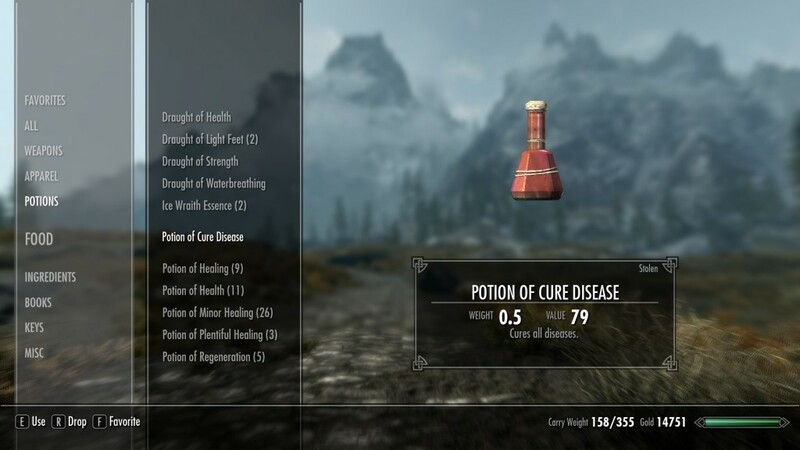 Do you prefer using restoration spells over healing yourself with potions and elixirs? It’s likely your restoration skill would quickly far surpass your alchemy skill. Natural progression based on your play style is what it’s all about. Taking a cue from Fallout 3, the perks for each skill are new to this particular Bethesda franchise. Many RPG players might think of these like a talent tree, of sorts, but that isn’t what it is. You don’t have to take the earlier perks in each skill to get the higher ones, although some perks do have skill level requirements which you have to meet before they’re taken. To help things along, you can bank perk points, which you get at one per level up to level 50. This allows you to “save up” for the perk you want if your skill isn’t quite high enough to get it yet. Also, your level dings are directly related to how much of the various skills you use and not experience points. You can skill up a variety of skills and they all go into the pool to help you hit your next level. Each time you level up, instead of distributing skill points like in many RPGs, you simply choose whether you want a boost in stamina, magicka or health. It’s as simple as that. Combat isn’t the focus of this game – not by a long shot. It’s standard “point and attack” first person fare. Anyone new to The Elder Scrolls franchise coming in because of all the hype, hoping for a deep, intricate action-game-like battle system is going to be sorely disappointed. 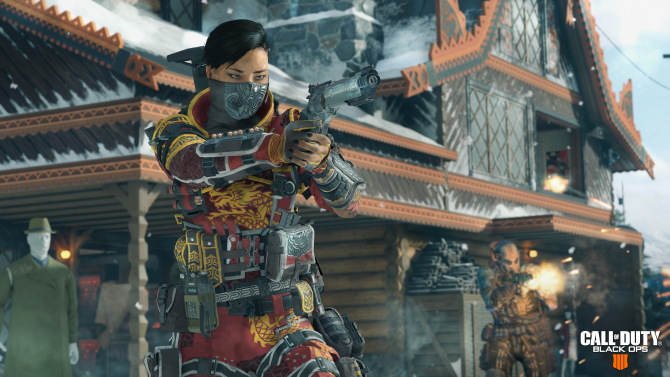 Fighting enemies is like it always has been – the first one to zero health loses. However, the addition of your dragon shouts does mix things up a bit, as different ones are good in different situations. They all share a 15-second cooldown, though. The one you get during the story at the beginning of the game is actually one of the best ones to use against non-dragon opponents, as it will do an area-of-effect knock-down and do damage at the same time. Follow the story for a bit, and it will become even more powerful. There are also shouts that do stuff like make you move quickly from one point to the next, or turn you into an ethereal wisp that can’t receive or deal out damage. All these have their specific uses and, given the variety of enemies and situations you can find yourself in, will likely get used by you at some point. Just remember that they are in your arsenal. The beauty of battle comes in its simplicity and the trick here is to remember what abilities and items you have at your disposal, rather than in what combination to press buttons. If you go the route of alchemy, like I have, you end up with a crap load of potions for every conceivable situation in your inventory. You just have to remember to use them. The dragon shouts are another thing – be familiar with the ones you get so you can quickly and easily spot situations in which they will be useful. The sheer number of odd situations makes all these potions, abilities and spells worthwhile. Bethesda has improved the third person perspective, and I spent some time in that mode, fighting, exploring and just generally bumming around. It is quite improved (although the jumping animation is still pretty lame), but it still feels awkward to me, not because it’s bad, but just because I’m used to this being a first-person experience. There is nothing that is better in third-person, but there are some things that are better in first-person, such as one of the most basic requirements of ranged combat – aiming. Another thing they did that I really like is practically take the need for pinpoint accuracy out of spell casting. 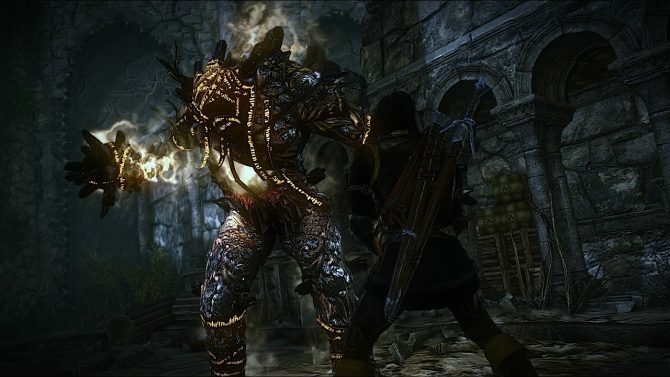 Instead of a single fireball being hurled at an enemy, a plume of fire shoots out of your hand. 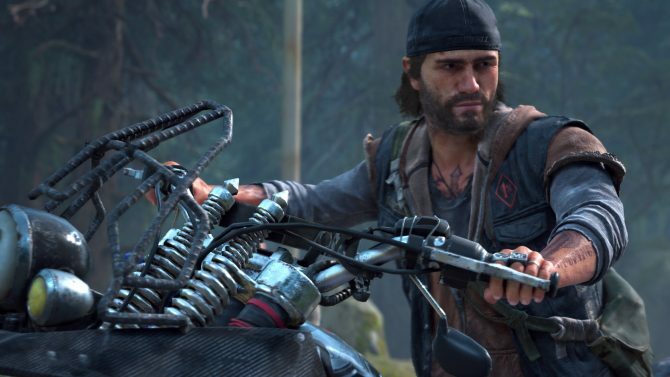 The need to aim well is diminished because of this, and that’s certainly welcome for those of us who enjoy a first-person RPG, but are not first-person shooter fans. Make no mistake, though, there are still spells that require you to aim pretty well (not to mention the entire aspect of archery, but this is helped along by perks), but generally speaking it is more lenient this time around. 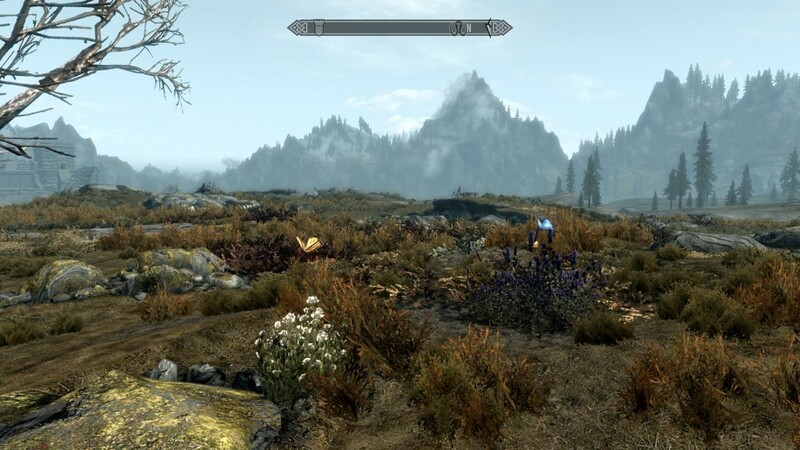 Your character themselves, aside from improving in your preferred skill set, can improve their station in Skyrim’s everyday life, as well. As usual, you still have to work for your gold, but the sheer amount of ways you can get it are vast. My preferred method, of course, aside from random dungeon romps, is stealing from the rich and giving to the poor, namely myself. With the gold you acquire, you can buy your typical stuff like weapons and armor (if you don’t find or build them), however you can also buy homes (much like previous games in the franchise) and furnish them. 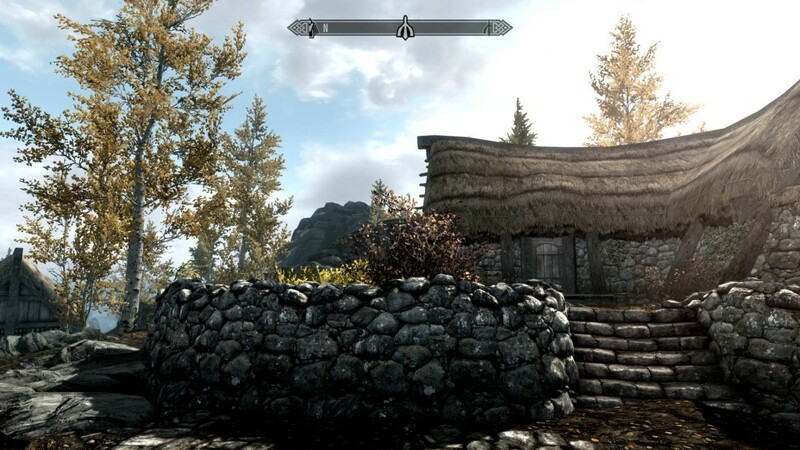 When I got the gold, I bought the available house in Whiterun for 5000 coins. It was empty. I was dead broke. I couldn’t furnish my own house. Hey, at least it had a chest upstairs next to the bed that I could unload my keepers into for the time being. A bit down the line, I had some more cash and upgraded the entire house, which you can do by rooms, and it looks so much more inviting now, with a fire in the pit and bookshelves that I can place a conglomeration of books on to suit my fancy. In addition to everything else, you can craft your own gear, potions and enchant magic into your items. You can also improve each and every weapon or armor piece you come across to make it more appealing from a stat perspective. It’s actually quite fun (for me) to go out and hunt wolves, take their hides, turn it into leather which, in turn, can be turned into gear that I can wear and upgrade – it goes full circle, and that is what makes living in the world of Skyrim so awesomely fun. I’ve discussed many things in this review that are included in vanilla Skyrim, yet I still feel like I’ve just scratched the surface. Considering in my 60 hours or so with the game so far, I feel like I’ve probably only touched about 25% of the game’s content, if that, you can better believe this is one game we will be playing for years to come. I would be remiss if I didn’t bring up a few insignificant (in my opinion) things that are bothering me, however please note that these issues hardly affect gameplay at all, nor change any of my views on the game. They are just things that give me a slight twitch every time I see them. First off, the shadow quality isn’t the best. I’m playing on the PC with all settings at max (seriously, everything), and still some shadows are pretty jaggy more often than I would like. Typically character shadows, however, are smooth. There might be a slight issue with some of the environmental shadows, and that’s what I’m referring to. Also relating to the world and environment, for such a snowy place, your character (and others) never leave footprints. You get the sound of your foot firmly planted in the snow, but never see any footprints, which drags you out of the immersion a bit. Finally, the interface is a bit laggy at times and in certain situations. It’s most noticeable when you open a menu (like the Save menu, for example) and options either don’t highlight, or you have to click them multiple times to get a response. I also felt that, at times, the menu system is rather bulky, and switching weapons, using potions and switching hot-keyed shouts can be tedious. The new favorites menu is great, but it only alleviates some of that – you still have to go into a menu, scroll through options and then use/equip them. It only takes a few seconds if you know what you’re doing, but having the ability to assign a hotkey to custom actions (like switching from a ranged weapon to a melee weapon, for example), would have been awesome. These few minor issues aside, I find it hard to fault such a beautiful, well thought out and engrossing title. Weighed against all the good, if I wasn’t tossing a critical eye to the game, I would probably start ignoring these issues to the point that they become nothing of an issue at all. That’s just the kind of gamer I am. 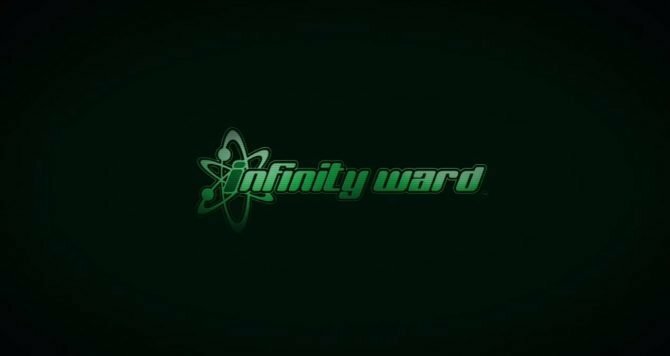 I’m not going to sit here and trounce on what is otherwise a great game just because a few very insignificant problems arise that may very well be fixed in a future patch or, of course, by the modding community. Ultimately, Skyrim is a work of art, a masterpiece by any measure, a wonderful painting so vivid that you can live inside it and become a part of its world, people, culture, dangers and adventures. It also truly shows, once more, that you absolutely do not need a multiplayer experience to make one of the best games available in the history of the industry. 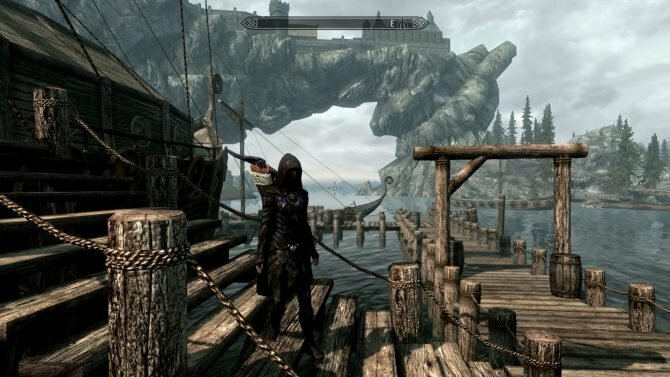 I’ve given out perfect scores before, but more than any other game I’ve given them to, I feel that The Elder Scrolls V: Skyrim really, truly should be put up on a pedestal as an example to all of what great video games should be. More than any other games in the franchise to date, as well as any other games released this year, this is one to be played and experienced by anyone and everyone, because there truly is something here for all types. The electrifying world comes alive from the very beginning, inviting you to get swept up in the endless adventures that await you.